Whyus Apartments, Amsterdam discount hotels and accommodation. 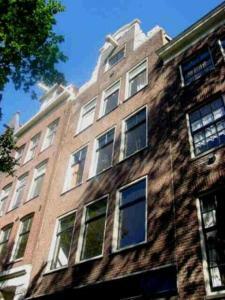 First floor apartment situated on a quiet and picturesque canal in the old centre of Amsterdam. Bright and cheerful with a spacious living room, a fully equipped kitchen, a new bathroom and a cosy bedroom with a double bed. You are on 5 minutes walking distance from Dam Square, the Rembrandt-house, the Musictheatre, the Flea-market and Cental-Station. Nice and tasty restaurants and all kind of shops are around the corner. The apartment can be rented by 2-4 persons for short and longer periods. View photos, room descriptions and make online reservations at Whyus Apartments. Save on room prices at Whyus Apartments, Amsterdam.